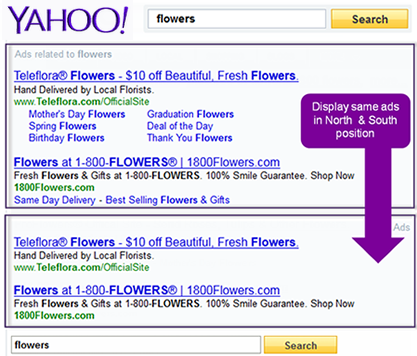 Use "Ads related to " (bold the user query) instead of "Sponsored Listings". Display ad copy as: headline, URL, description line (ad will be blue, green, black sequence). Bold the searched keyword in the ad copy. Underline ad text (headline, description, URL) when user hovers over the text. Make entire ad copy clickable. 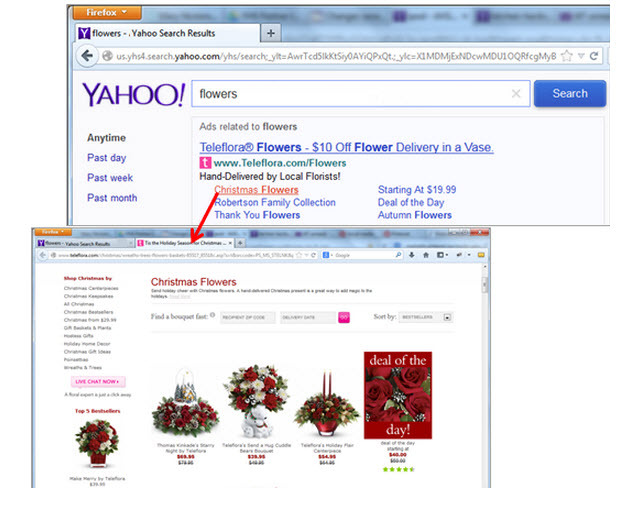 Opening ads and algo in a new tab drives an estimated lift of +10-15% CTR. Please note this may lead to a decline in searches, since users can come back to the original page and click another ad/algo listing without completing a search. Mirror ads from the north in the south. 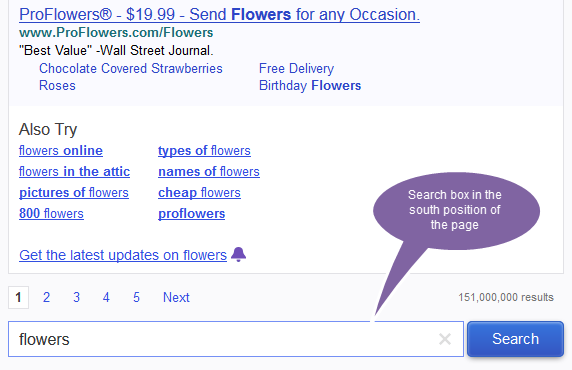 Adding a search box in the south position of websites is estimated to drive an increase of +5% more searches. We’ve found that following a few basic rules can go a long way when crafting a mobile experience.